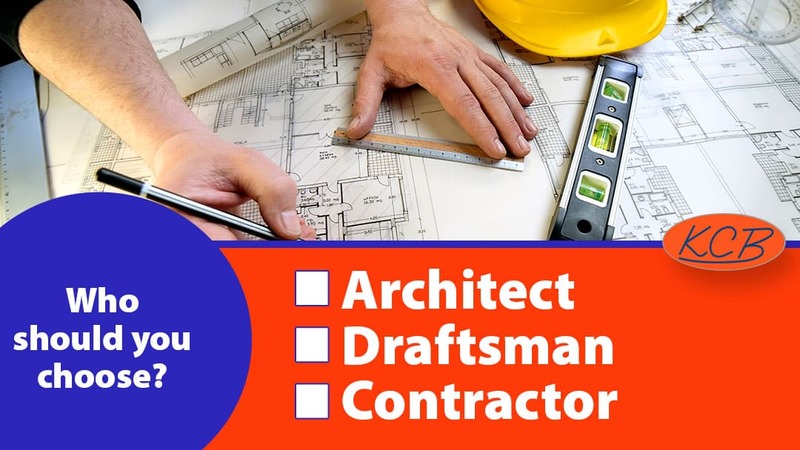 Architect, draftsman, contractor – Who should you choose for your new home’s construction plans? You want nothing but the best, so you find a notable architect and consider the high cost well worth it. In some cases, it’s a valuable investment to pay a premium for your home plans. But other times, it’s not necessary. Who you hire to design and plan your custom home is an important decision, though. This person will be translating the vision you have for your home into plans that will become reality. You want them done well but you don’t want to spend more than you need to. Overpaying could leave you short on your budget and cause you to make sacrifices to the construction and finishes. Underpaying could leave you with inadequate plans that potentially lead to problems and extra costs. There are several things to consider when hiring someone to design your home. Some states require that a licensed architect signs off on all building plans, but that is not the case for Wisconsin or Minnesota. There is no law dictating who can or can’t design the plans for a personal residence in these states. Architects, draftsmen, and contractors are potential options for creating construction plans for your home. Creates plans, technical drawings, and models. Can be involved throughout planning and construction. Architects often employ draftsmen, and contractors may work with draftsmen, but draftsmen can also work independently. A qualified and experienced draftsman might offer the same services and skills as an architect, the most notable difference is that they don’t have the architectural degree or license and are typically less expensive. Specialized in the construction process. Some larger residential general contractors can provide quality design services. Some qualified and experienced residential general contractors are able to perform the same services of a skilled draftsman, and often these services are provided free of charge when such a contractor is contracted to build your home. There are several benefits to starting with your contractor. By choosing your contractor first, he will be able to use his home building experience and expertise in helping you decide which is your best option and share who he recommends. Once your contractor knows your needs and budget, he can help determine if he and his team are well suited to draft your plans, if it’s best to use a draftsman, or if an architect should be hired. 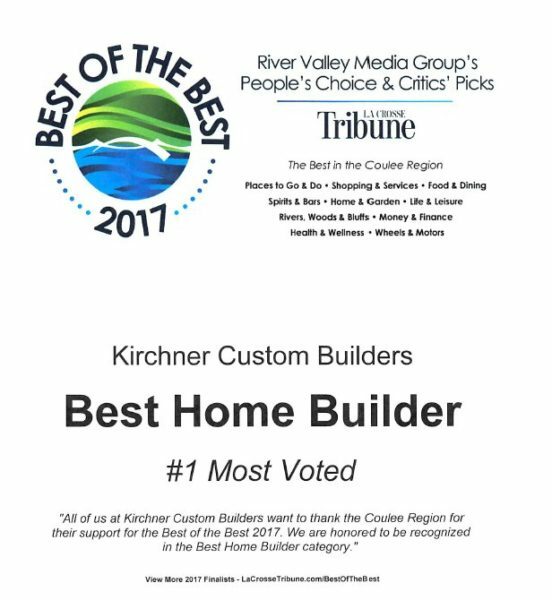 While most residential builders won’t be able to draft the plans for your home, some larger residential general contractors, such as Kirchner Custom Builders, are completely capable of drafting architectural drawings for custom built homes, which are to scale, biddable, permittable, and buildable. If your contractor is able to draft your plans in-house, there may be added benefit of having your residential general contractor coordinate your entire project. As with most services, just because someone is the most expensive option doesn’t automatically make them the best option. You’ll need to apply due diligence to assure that whomever you hire is experienced, talented, and qualified to do the work. Seek out referrals from people you know or recommendations from your general contractor. Look online for reviews and testimonials. Seeing previous work of the architects, draftsmen, or contractors is a smart way to find out if they will be a good fit for your project. You’ll want to choose someone who has done similar projects to yours, has the design style you are looking for, and who provides quality work for a fair price. The cost of your home’s design plans should be relative to the overall cost of your home. For example: Plans for a small, basic home could be done at a low cost by a draftsman or contractor. With mid-range to high-end homes, design costs could also be kept relatively low by using a draftsman or contractor, as long as their skills and expertise are adequate for the size of the project. Meanwhile, a million-dollar-plus luxury home may require a more substantial financial investment and include a team of architectural and drafting experts. If you want help deciding on your home’s design finishes such as exterior material selections, paint colors, flooring materials, trim, fixtures, etc. ; you may want to hire an interior designer. An interior designer can be incredibly helpful with those choices. Interior designers are typically not experts in structural design. Interior designers are often helpful with aesthetic decisions, but they rarely provide valuable input with respect to structural design. If you’re planning to build in Wisconsin or Minnesota you are not required to use an architect for the construction plans of your home. You may decide that an architect is the best option for your needs, but you are free to consider draftsmen and contractors, as well. Who designs your home will depend on your needs, your assessment of the potential services in your area, the cost of your project, and the scope of your construction.